Save the planet and reduce the bills at the same time with the Eton Soulra XL Solar Powered Sound System & Charging Dock! Both your pockets and the planet will be thankful. 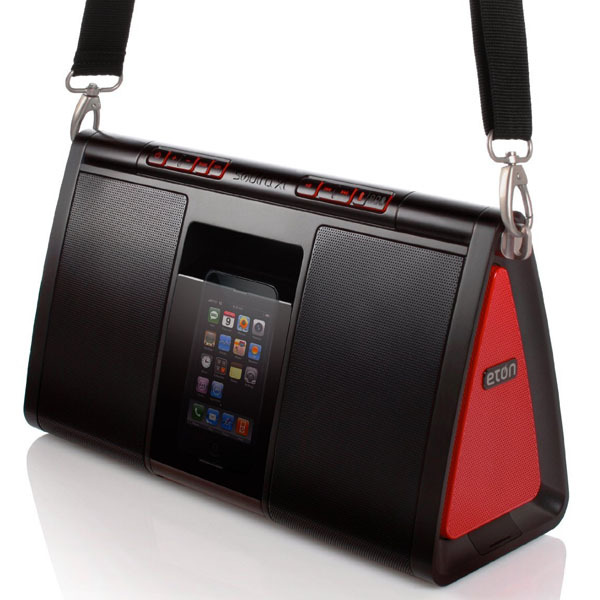 Take your music anywhere and enjoy it with friends or in a social context with the Eton Soulra XL Solar Powered Sound System & Charging Dock. The system is right what you’re looking for if you want to spend a day at the beach, camping, or just relaxing by the pool. 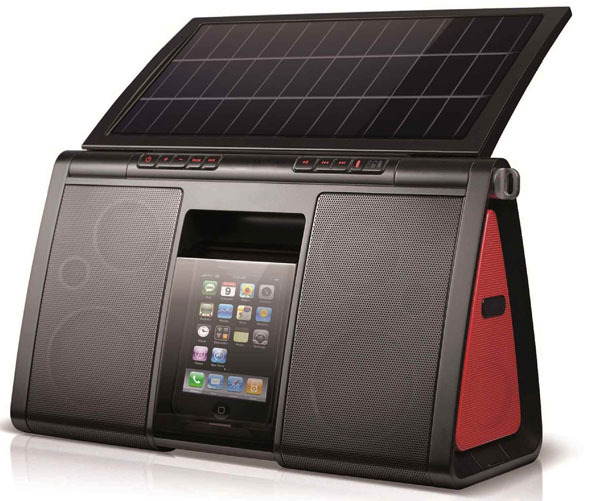 The dock is compatible with both iPod and iPhone, and even recharges then by using its 72 square inch monocrystal solar panel. Rock out to the 8 speakers that sum up 22 watts of power. For what it weighs, and the fidelity in the sound, that’s a lot. As long as the sun is shinning, the party may go on.The Eton Soulra XL is available in Amazon.co.uk for £199, Amazon.com for $210.61.